Bob Forsyth, the Managing Director of MITIE Total Security Management (TSM) introduces his sixth blog on Infologue.com by explaining why service integration is our fututure. Bob writes; “Coming from a proud Englishman I will take a deep breath before I move on, but after watching Wales defeat England recently at Twickenham it made me think about the importance of integration and strategic long term thinking. It’s amazing what can be achieved by having the right strategy, planning, teamwork and leadership in place working together when going after your goals. Take the Welsh rugby team who a number of years ago were stuck in the rugby wilderness dreaming of their past glories. Without doubt over the past few seasons their fortunes have been completely transformed; after a successful World Cup and a momentous Grand Slam in the RBS 6 Nations. Their players are the toast of Europe and as a team they are both feared and revered because of how they’ve worked together to become the best. How can we as security providers mirror this integrated approach to deliver service that exceeds client expectations? It’s well known that our industry has experienced significant change over the last five years and in order to remain focussed we have to understand where it’s going in order to be able to structure our businesses to meet our clients’ needs. I believe the future of our industry lies with technology; integrating technology with man-power is how we can help our clients to future-proof their operations and mitigate risks. Risks will continue to come in varied forms and every aspect of our businesses, from what we deliver to how we deliver it, has to be robust enough to adapt and grow. How we operate internally has to match what we portray externally and planning, teamwork and strong leadership will drive a strategy for integration. As important is the way that the business is structured to deliver common goals and ensure that there is one vision, a divided business structure will not achieve the gains that it needs although it may have all the ingredients to work it will fail and be out manoeuvred by a more agile and integrated opponent. Great service is not enough on its own, it is the building block for success but it is Integration and the delivery of that change agenda that will succeed in a challenging environment. We have to look to the future; and to embrace technology trends and innovation we must integrate new ideas with all that we do. Read Bob’s second blog: What do we really mean by adding value? Read Bob’s third blog: Cyber security – is out of sight really out of mind? Read Bob’s fourth blog: Have we come to expect public disorder? Read Bob’s fifth blog: Security: job or career? 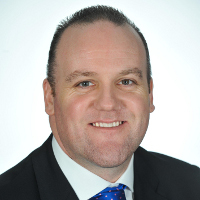 Bob Forsyth MIoD, Msyl, the Managing Director of MITIE Total Security Management (TSM) has over 15 years’ experience in the service industry. He is a strong relationship builder who is financially astute with excellent negotiation and communication skills, and the ability to work with people at every level. A team player, Bob is able to lead by example. Bob was promoted to the position of managing director of MITIE Total Security Management in April 2010 after an array of notable achievements since joining the company in 2004. Having successfully implemented the merger with Initial Security in the Southern region, and developing a profitable part of the business, Bob has continuously worked to expand the business and contributed towards year on year growth. In August 2007 he implemented MITIE’s stand-alone response service and in June 2009 initiated the launch of the business’ Total Security Management approach providing an integrated risk-based approach to security, incorporating response services with security systems. A member of the Institute of Directors (IOD), Bob has recently completed a Leadership course at Cranfield University. He is a keen advocate of MITIE’s partnership approach and is a champion of the business’ strategic risk-based approach. He sees this as an opportunity to move the business forward, and as such has launched a dedicated security risk and business resilience team since his most recent promotion. He takes every opportunity to promote MITIE’s presence within the industry through his involvement with industry bodies such as City Security and Resilience Networks (CSARN) and the British Security Industry Association (BSIA). Bob is also a member of the RISC (Resilience Industry Suppliers Community) which is the leading business think tank on UK Security advising government on security. What do we really mean by adding value? Have we come to expect public disorder?